We live in a world that was not supposed to exist. Contrary to the expectations of modernization and secularization theorists, who, back at the twentieth century, have argued for the demise or growing insignificance of religion in the modern politics of the state (see Deutsch, 1953; Rostow, 1959; Apter, 1965; Smith, 1970), religion has been dramatically resurfacing in various political configurations, as evident by the proliferation of religious movements, organizations and institutions on a nearly global scale. Indeed, at a time when secularization was assumed to be the inevitable companion to modernization and globalization, constituting the gradual ‘disenchantment of the world’ (Weber, 1993), religious attachments, practices and even political influence seem to persist, if not grow, on a global scale (Razavi & Jenichen 2010). It is within this context that the nature of the relationship between religion and politics regains scholastic attention. This chapter pertains to exploring the political resurgence of religion, seeking to answer the pressing question of first, what accounts for religious revival in the age of globalization and second, what accounts for the political success or failure of religious movements, mostly in terms of exerting political influence on their domestic spheres and arenas. In order to answer these questions, this chapter delineates the conditions under which the needs and imperatives of both religious movements and the political establishment of the state are conflictual or reconcilable. To this end, the intriguing case of the Egyptian Moslem Brotherhood will be analyzed, illustrating the shifting boundaries of Islam from its traditional civil realm to the political order of the state and distilling movement’s trajectories in its quest for political prominence in the age of globalization. 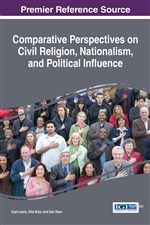 The theoretical and empirical sections of this chapter, then, proffer an interesting prism to the study of the broader linkage between religion and politics in the developing world, especially among non-democratic, or quasi-democracies countries, as found in the Arab Middle East, where religion has experienced recurrent revivals in presence and significance in states’ social and political domains. The theoretical premise guiding this chapter, then, is that in assessing religion’s [renewed] place and role in contemporary politics, three tensions must be identified and explored: the tension between religious decline and resurgence; the tension between civil religion as a descriptive and normative concept and political religion as a source of both social integration and division; and lastly, the tension between religion as an agent of identity and as an agent of contestation. The overall argument is that in the age of globalization and modernization, the nature of the renewed relationship between religion and politics depicts a complex dualism of conflict and reconciliation, in which the political trajectories of religious movements are contingent upon their ability to assimilate into the notions and practices of continuity and change in the age of globalization.